This month's AirCare Series post is the first podcast in the series. In this podcast one of our current interns, Adam Gottula, interviews a graduate of our program, Andrew Latimer. Dr. Latimer is currently a Senior EMS Fellow at the University of Washington. In this interview, Dr. Latimer discusses how they use pre-hospital ultrasound at his flight program as well as his thoughts on the future applications of this technology. There is also a written summary of the podcast that you can find below the audio. While medicine and medical technology continue to progress into the pre-hospital setting, so too does the rise of ultrasound. While emergency departments have advanced from basic to advanced ultrasound as a common tool in their diagnostic toolbox, few have adopted ultrasound in the pre-hospital setting. Point-of-care ultrasound (POCUS) in many realms is considered an extension of the physical exam, providing key clinical data at the bedside. This is not yet the case in the back of a helicopter, the side of the road, or in a cornfield where much of pre-hospital medicine is practiced. So where does the synergy between world-class HEMS and world-class medicine? World-class logistics. Still, the adoption of ultrasound has been slow for many reasons including portability, cost, training/technical expertise of operators, and time limitations. What barriers have you experienced in the implementation of ultrasound? Training burden: Most EMS crew members have little to no experience with ultrasound. Some programs (Airlift Northwest) began with single protocolized indications for ultrasound allowing a manageable training curriculum. This can then be monitored and expanded as skills improve. 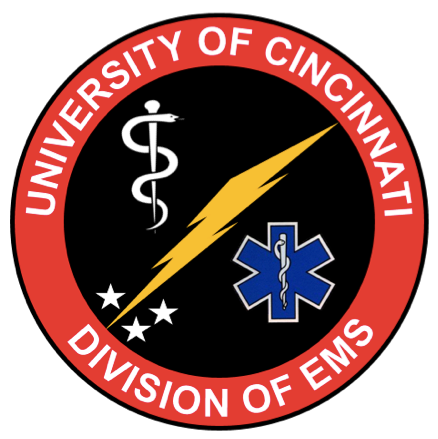 Other programs (Cincinnati Air Care, UW Med Flight) are fortunate to have physicians who are already facile with ultrasound. Patient Care Time: Ultrasound adds something new to the already strained standard clinical pre-hospital work-flow. Evidence suggests that the unexpected logistical challenges in the pre-hospital environment (i.e. patient positioning, physical space, lighting, etc.) can affect the quality of the exam (1). How have your found this environment to affect the quality of your examinations? Access: Patients are often wrapped during transport making access to the patient for ultrasound challenging. The chest is often accessible, however the abdomen and pelvis can be more difficult to image with ultrasound. Personnel: Some ultrasound devices require multiple operators; one person to hold the screen and another the ultrasound probe. Storage of the ultrasound device: The ultrasound device is often unable to be stored in an aircraft as many sites are not secured and the aircraft is not temperature controlled when stored. It can be challenging to even remember the ultrasound device when the crew is deployed on a mission. Dr. Latimer's recommendation is to store the ultrasound device with the blood products so it is not forgotten. One study reported that portable ultrasound in the pre-hospital setting is time effective with successful applications (2) while another study reported no significant difference in performance or duration whether the examination was performed at the scene or in flight (3). Is your practice to ultrasound patients at the scene or in-flight? In-flight is the preferred time for ultrasound. While some initial studies showed reduced time in the overall care pathway, we risk adding significant time delays pre-hospital when adding new devices that are unfamiliar to the crew. While it seems obvious that any HEMS program with ultrasound capabilities will complete a FAST exam, what other scans do you complete with ultrasound in the pre-hospital setting (RUSH, EFAST, Echo during cardiac arrest)? The scans completed in the pre-hospital setting are dependent on the training burden of the exam and time it takes to perform the exam. There is a greater need for exams such as the RUSH exam on long flights, most notably on fixed-winged flights. Regarding ultrasound in cardiac arrest, ultrasound is likely useful in select cases but there is the danger of CPR delays due to prolonged pulse checks when ultrasound is used in cardiac arrest (4). Two studies have reported that pre-hospital portable ultrasound may lead to change in the patient’s therapeutic course (5,6). Has the use of ultrasound aboard your aircraft led to any changes in patient course? Not at this time, however this is certainly a goal of pre-hospital ultrasound. What quality improvement measures do you have for your ultrasound? All images are reviewed by an ultrasound faculty member to assess quality and overall interpretation of the study. Snaith B, Hardy M, Walker A. Emergency ultrasound in the prehospital setting: the impact of environment on examination outcomes. Emerg Med J. 2011 Dec;28(12):1063- 5. Mccallum J, Vu E, Sweet D, et al. Assessment of paramedic ultrasound xurricula: A aystematic review. Air Med J. 2015;34(6):360–368. Brun PM, Bessereau J, Chenaitia H, Pradel AL, Deniel C, Garbaye G, et al. Stay and play eFAST or scoop and run eFAST? That is the question! Am J Emerg Med. 2014 Feb;32(2):166-70. Chenaitia H, Brun PM, Querellou E, Leyral J, Bessereau J, Aime C, et al. Ultrasound to confirm gastric tube placement in prehospital management. Resuscitation. 2012 Apr;83(4):447-51. Neesse A, Jerrentrup A, Hoffmann S, Sattler A, Gorg C, Kill C, et al. Prehospital chest emergency sonography trial in Germany: a prospective study. Eur J Emerg Med. 2012 Jun;19(3):161-6.